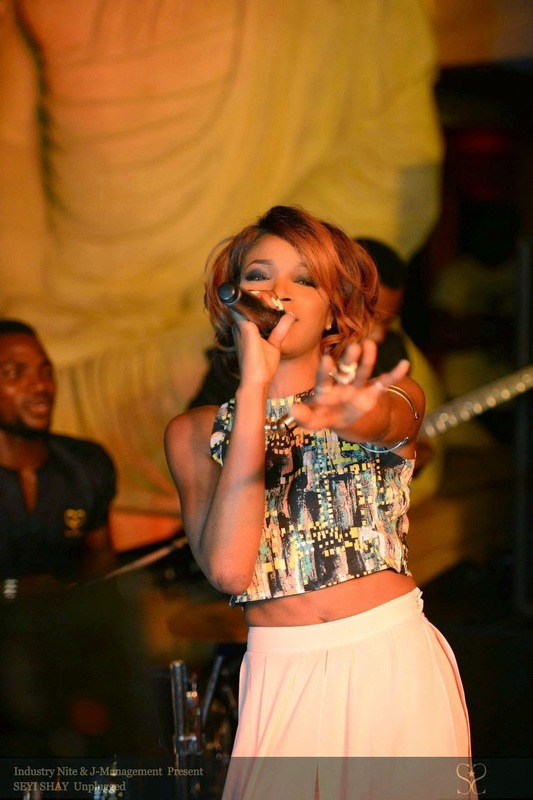 ‘Irawo’ crooner Seyi Shay keeps the momentum going, coming off the back of her ‘Murda’ single release and unveiling the official music video back in June. 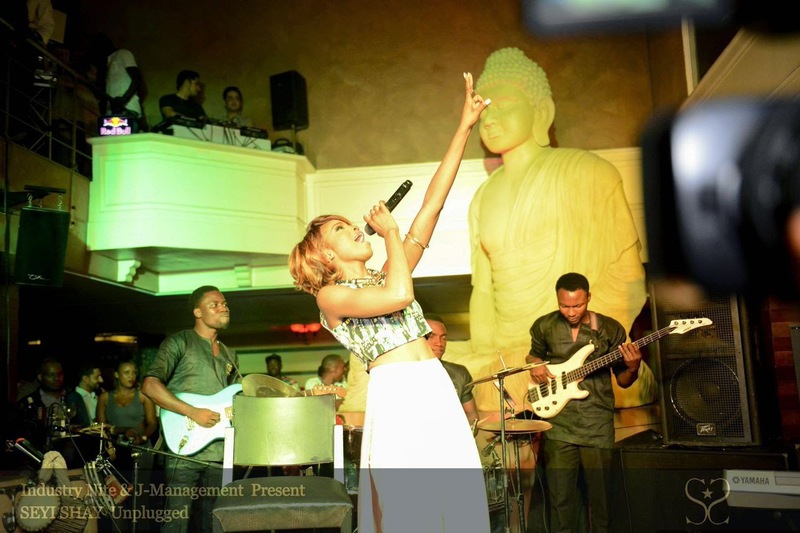 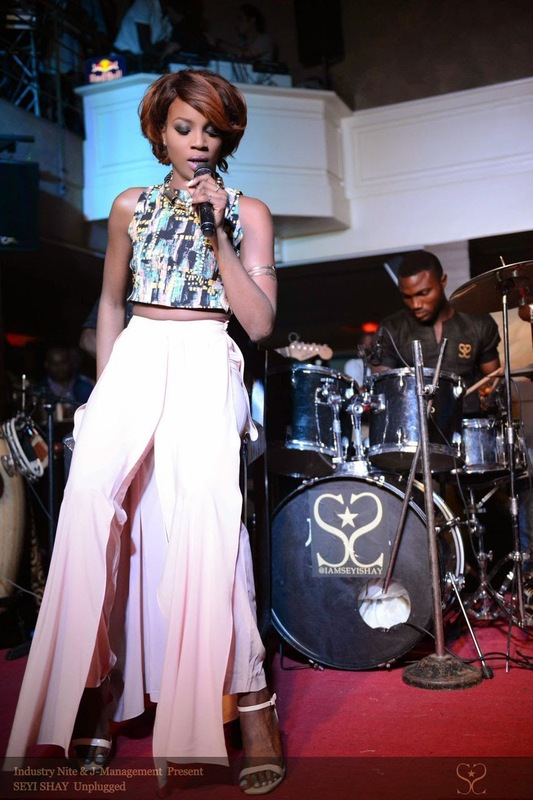 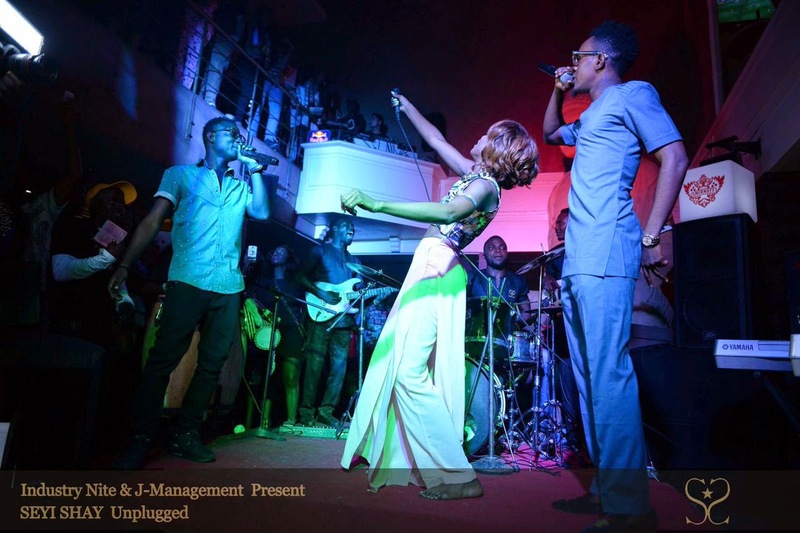 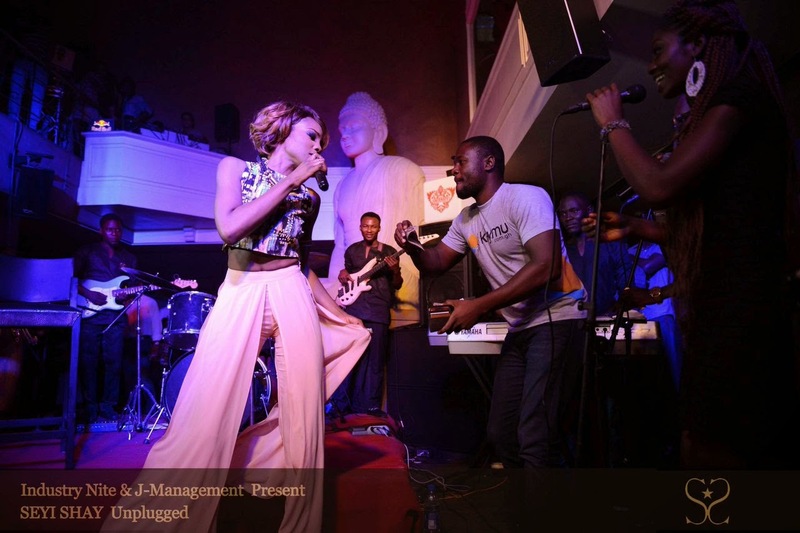 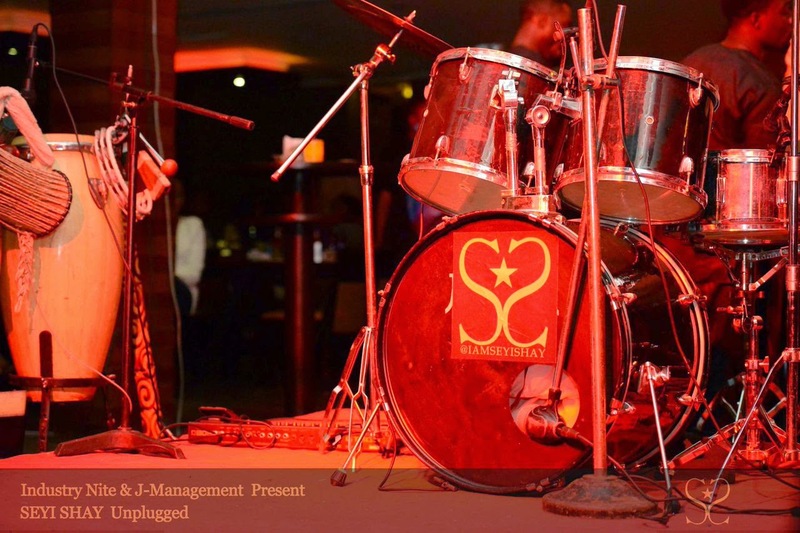 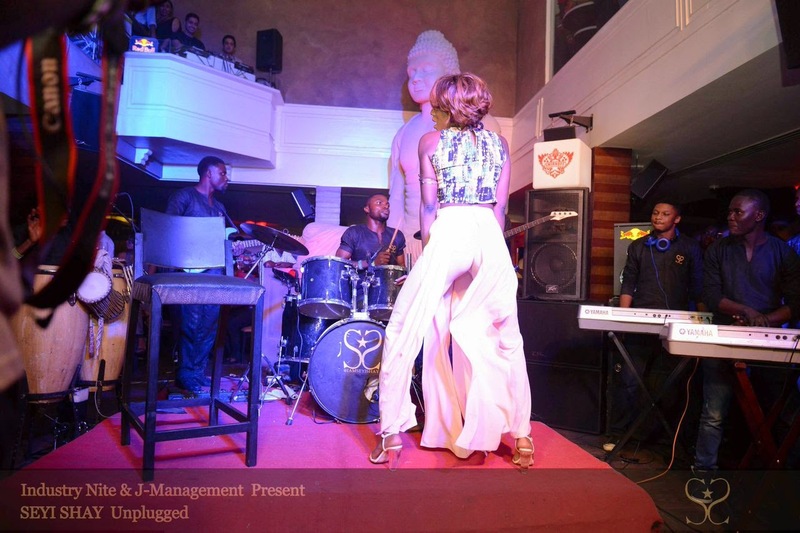 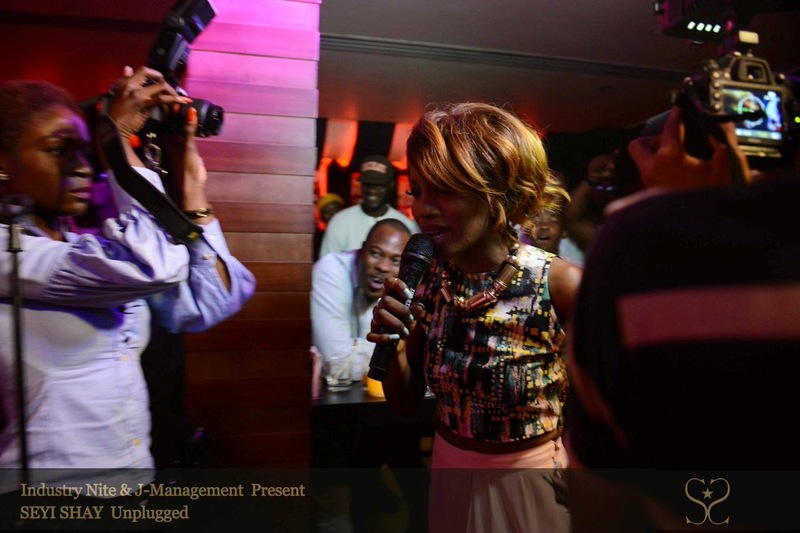 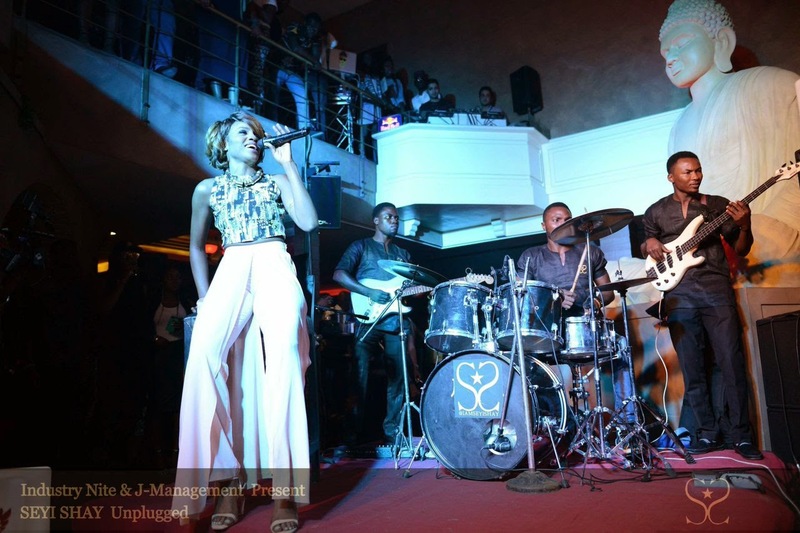 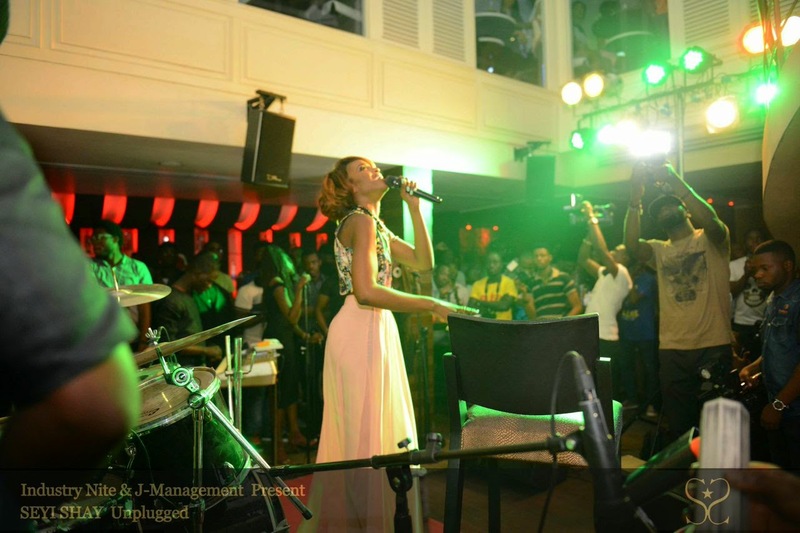 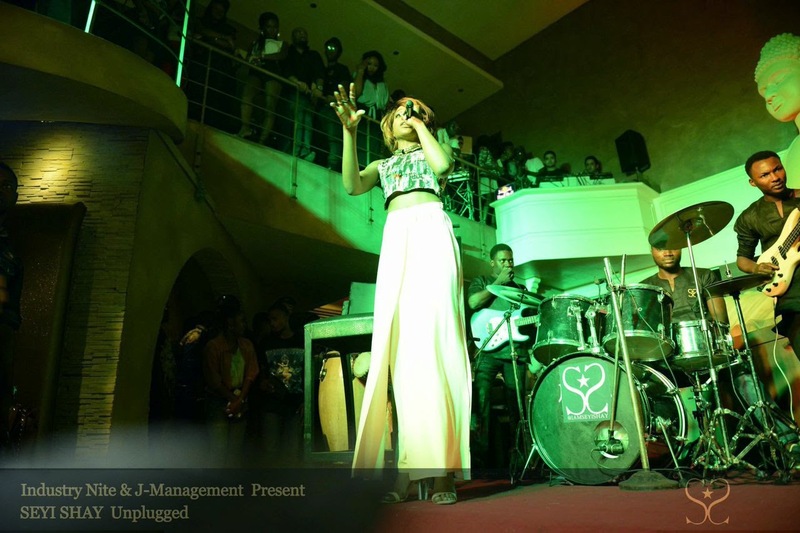 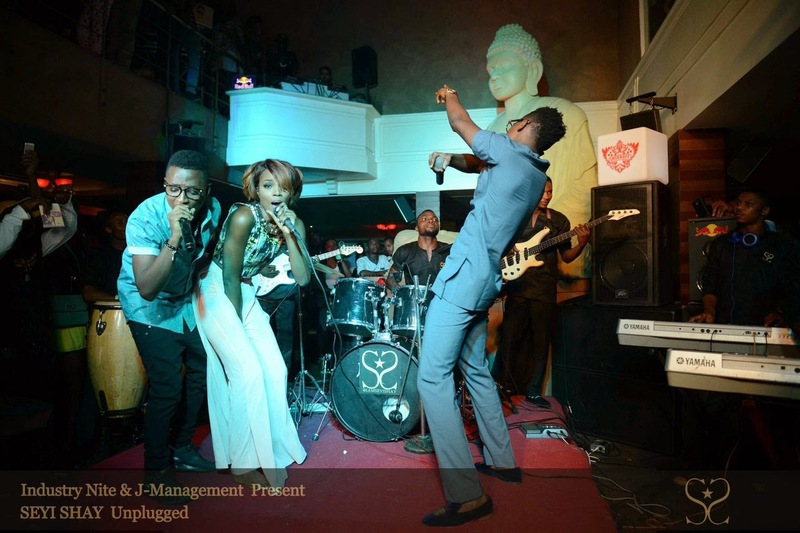 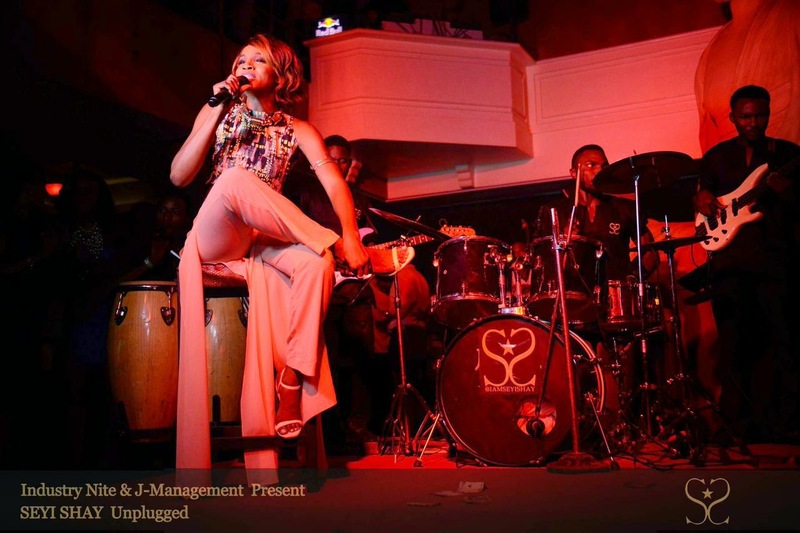 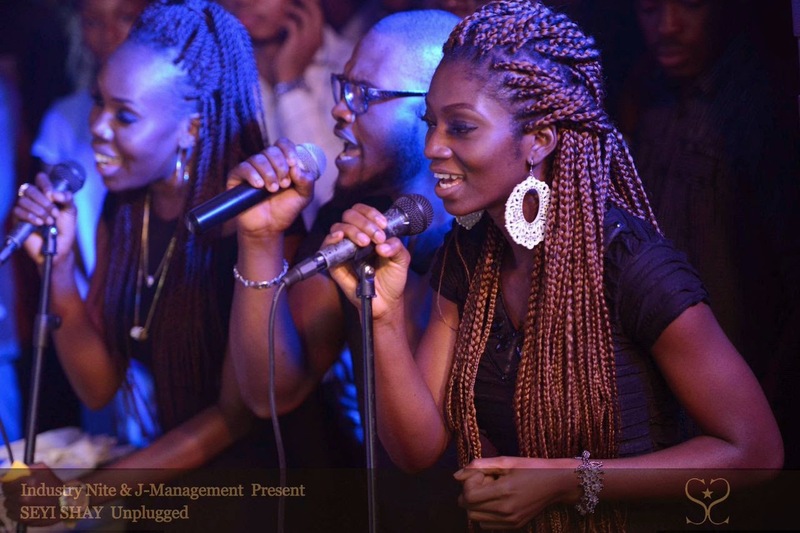 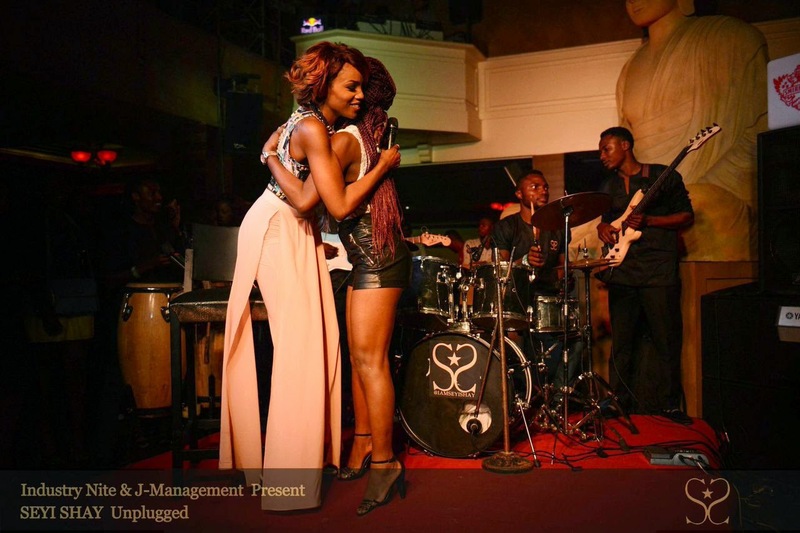 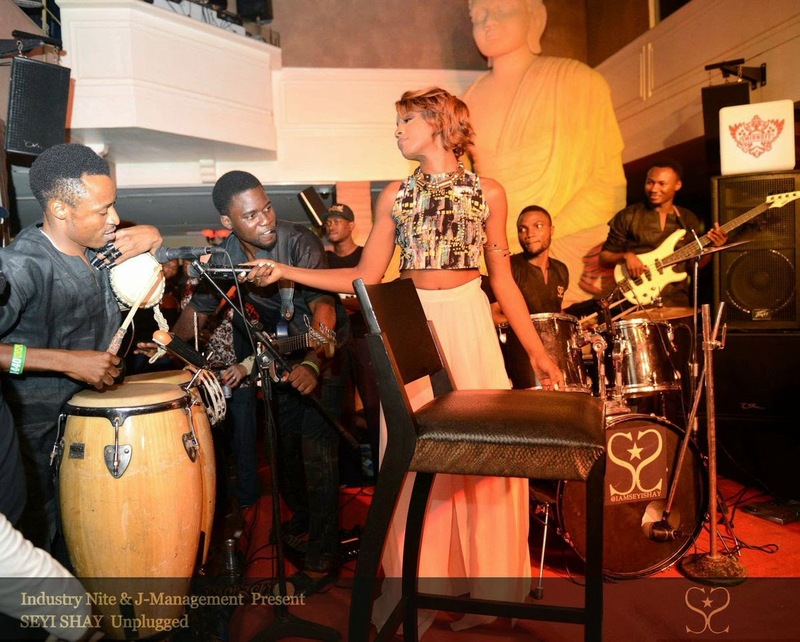 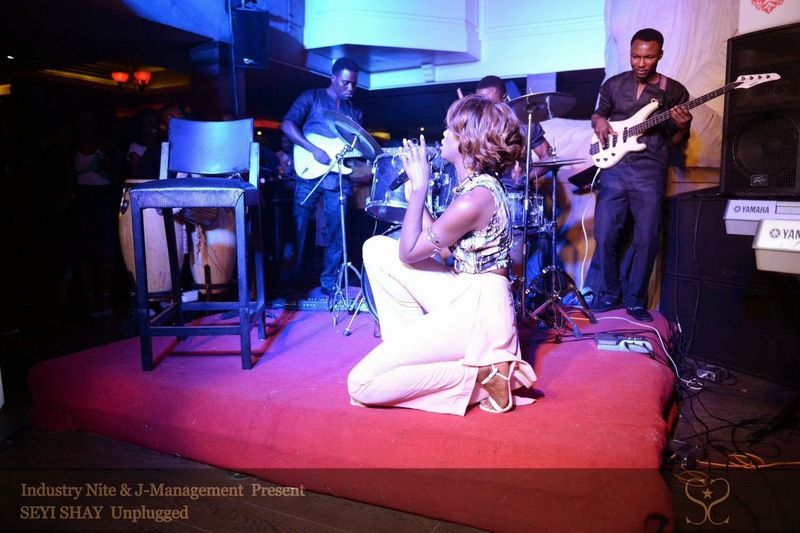 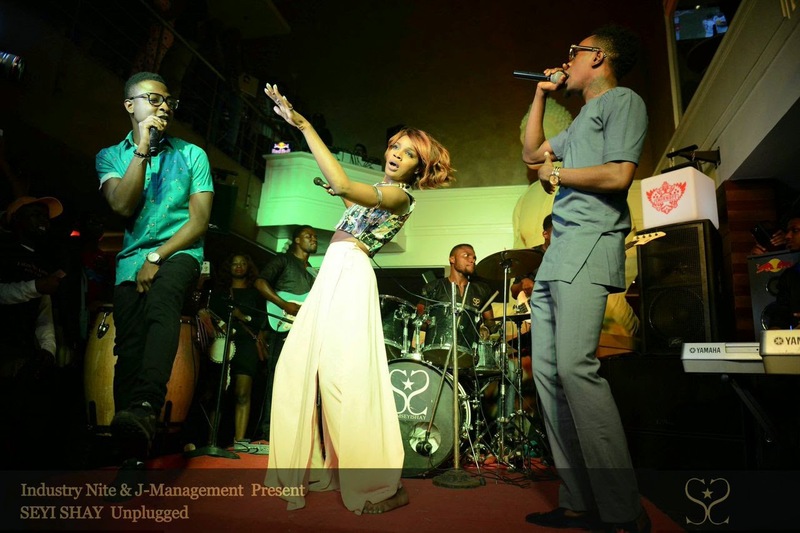 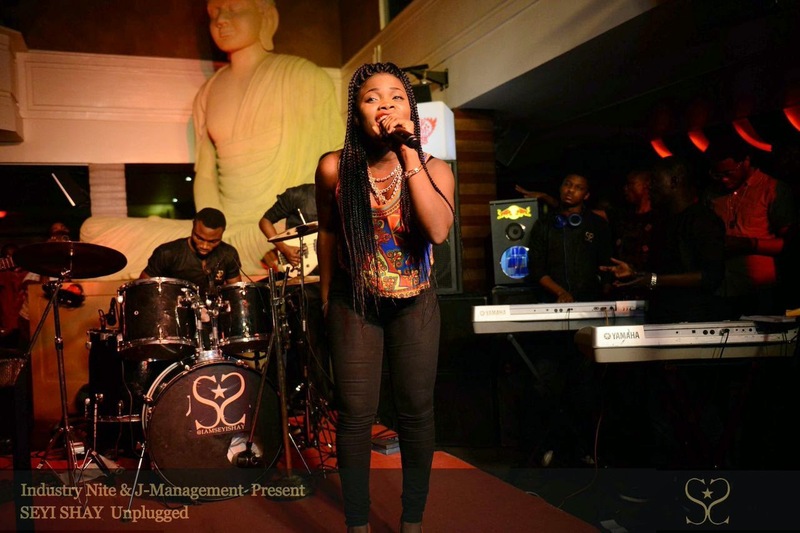 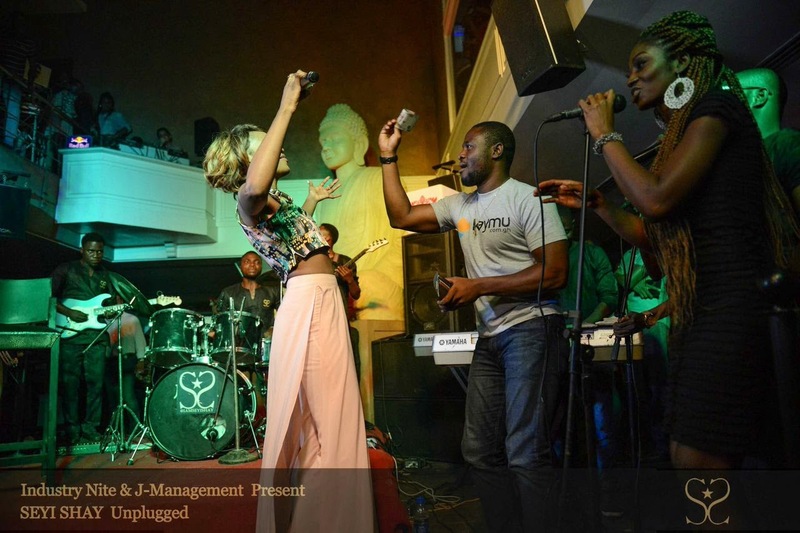 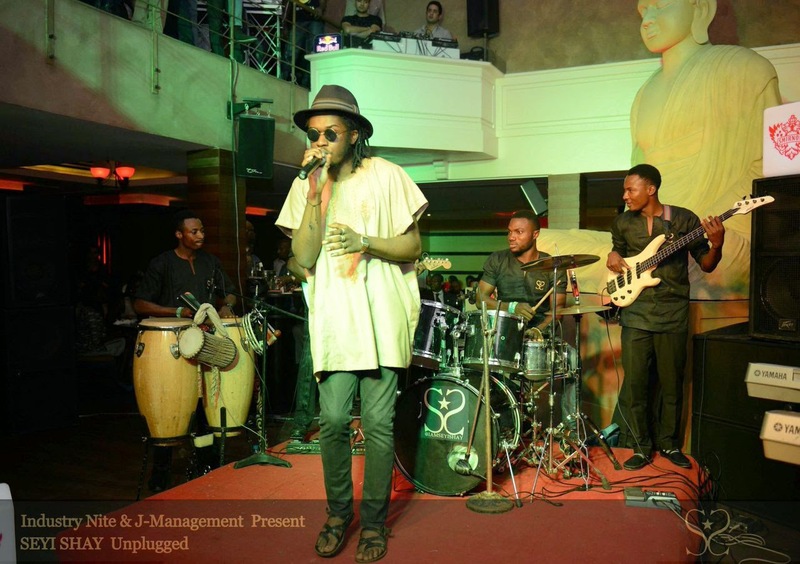 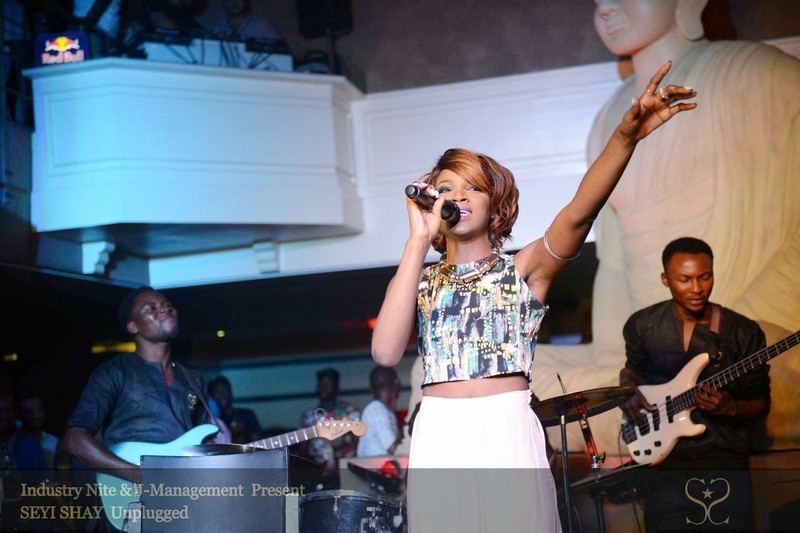 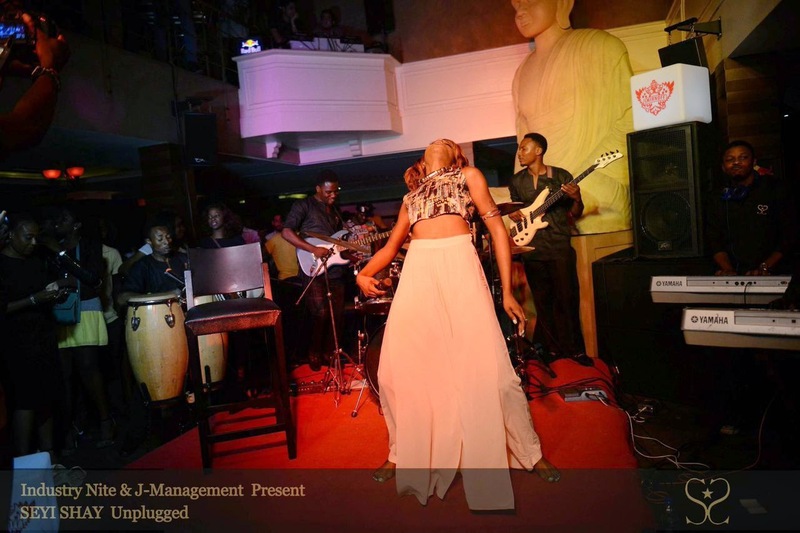 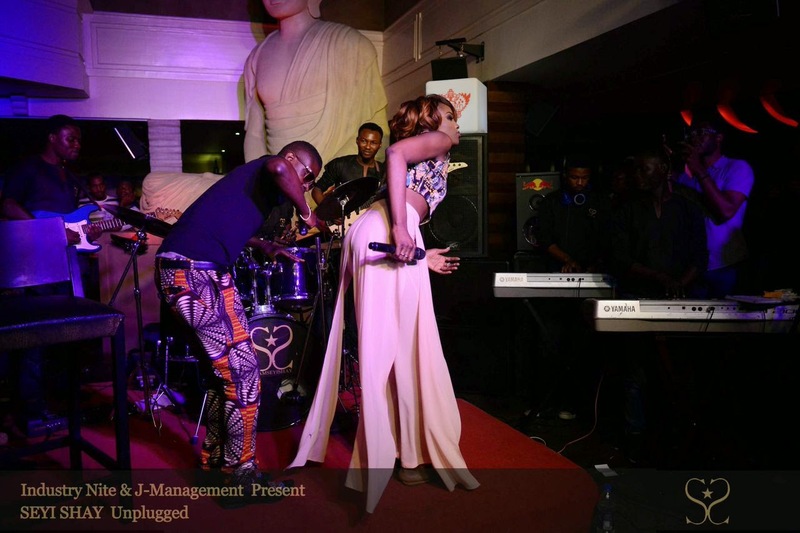 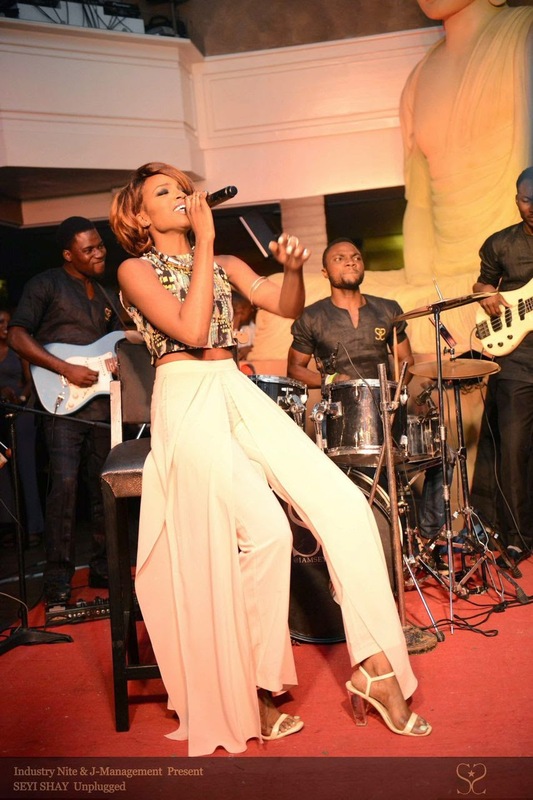 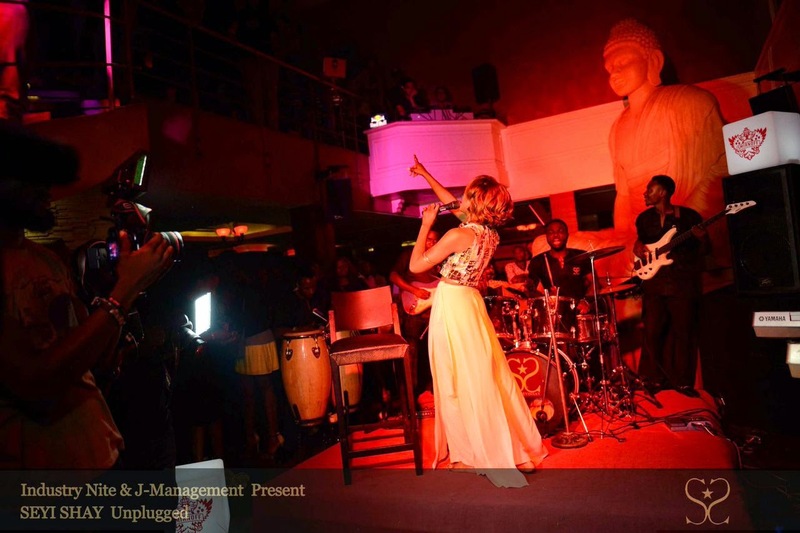 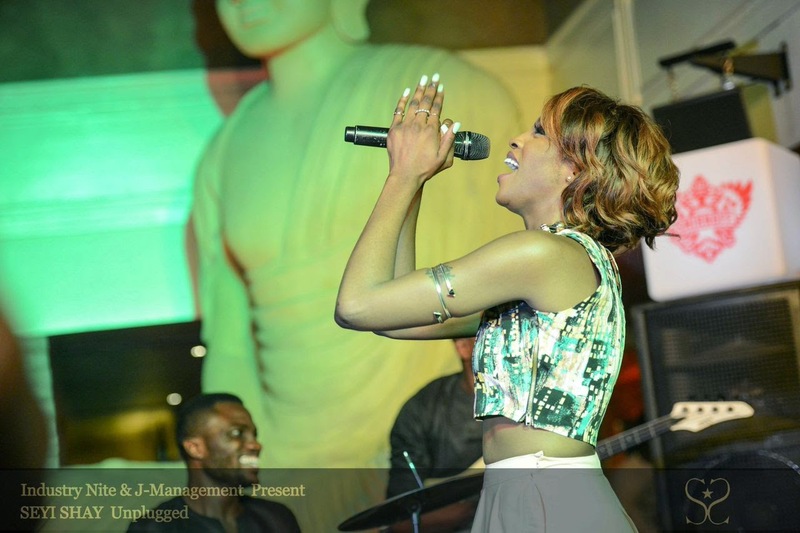 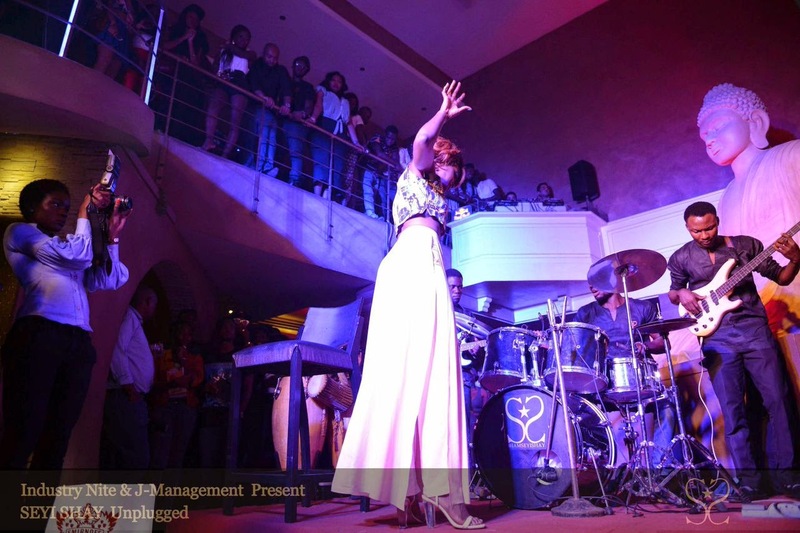 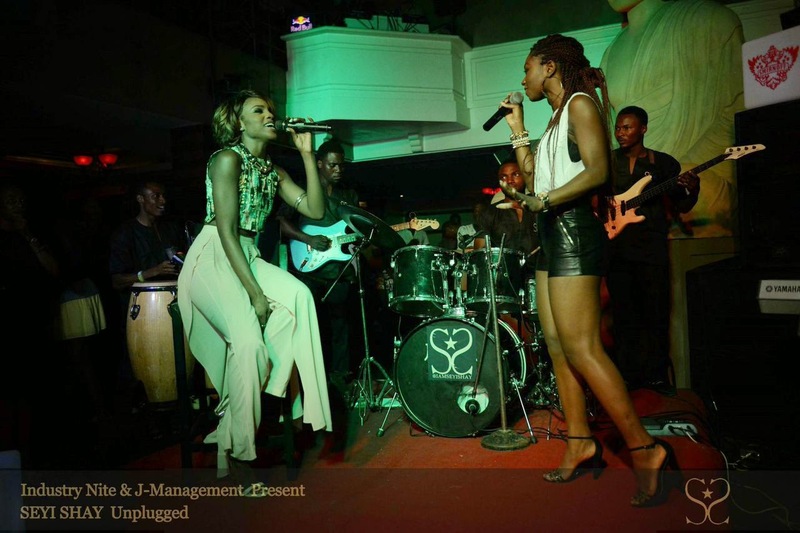 Seyi Shay headlined ‘Seyi Shay Unplugged’ show in Lagos presented by Industry Nite & J-Management on Wednesday evening, and please believe she served and delivered a show like no other. 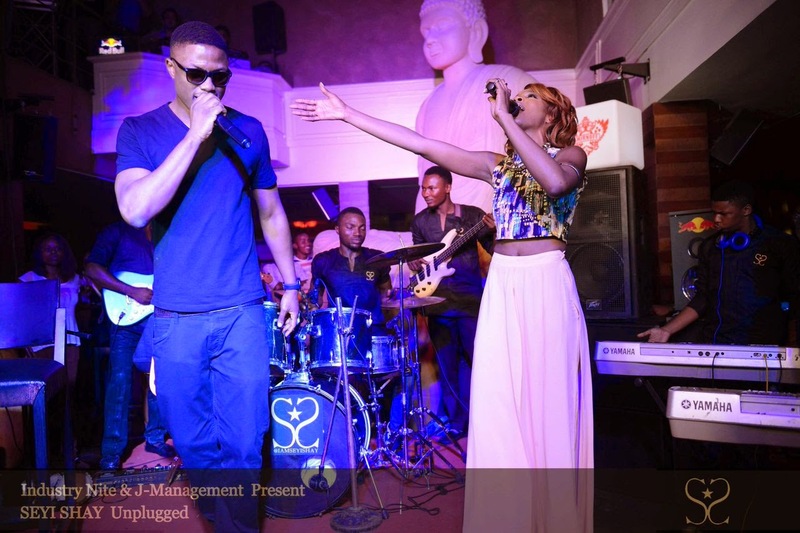 Her band as well looked prim and proper! 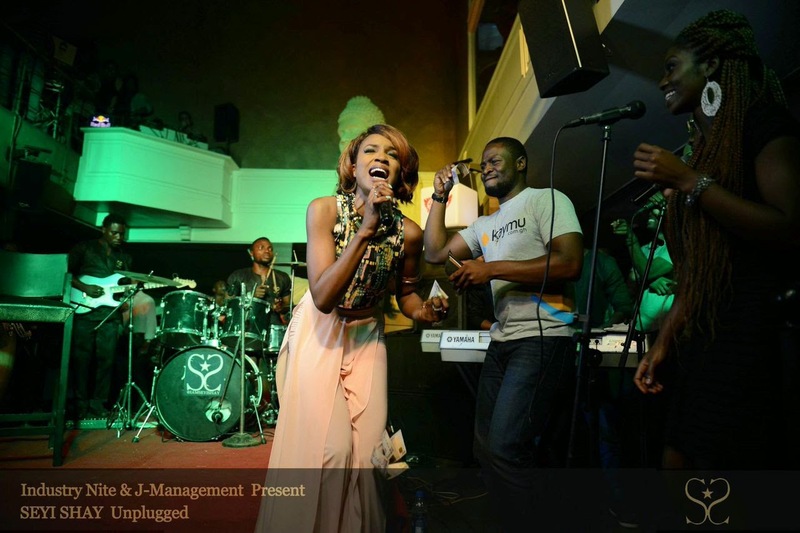 Mm, I'm loving Seyi Shay's team! 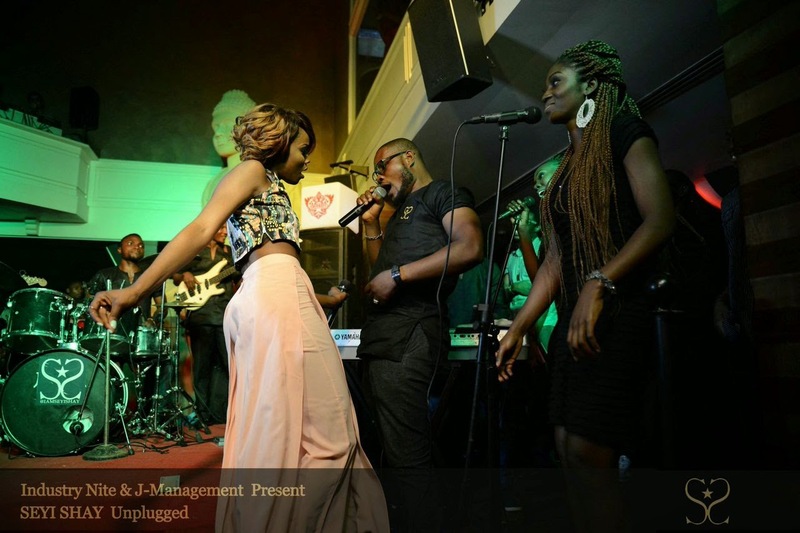 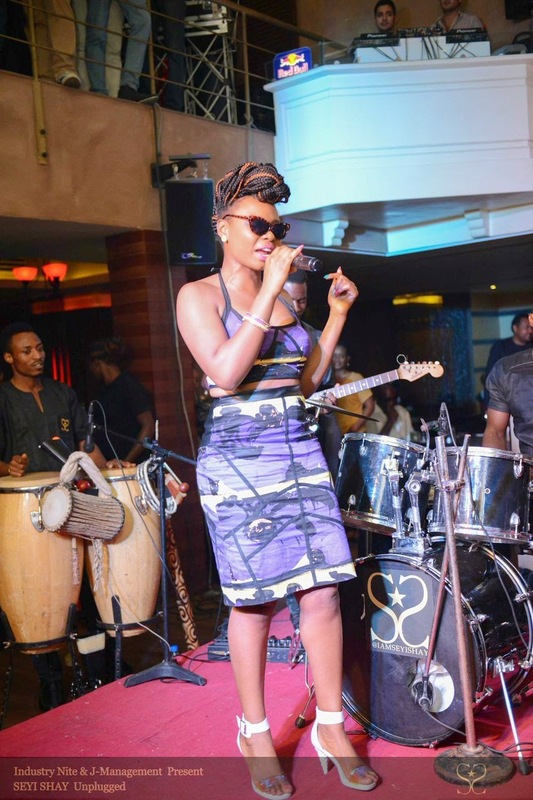 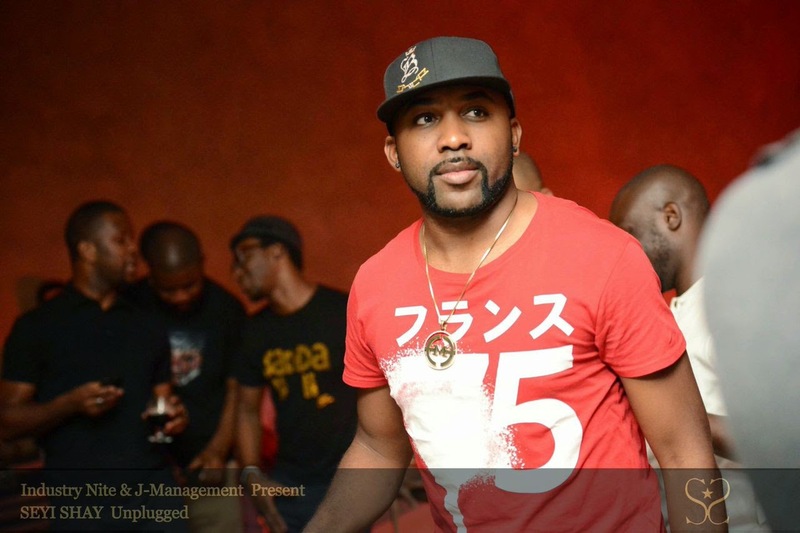 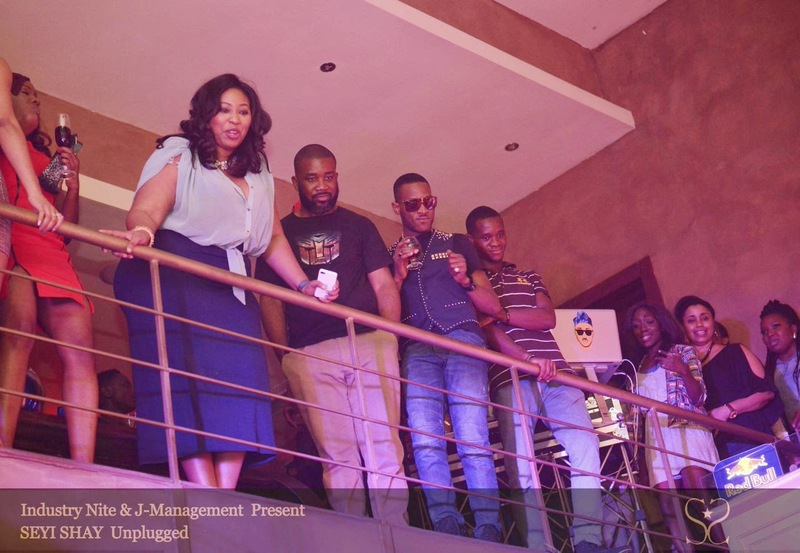 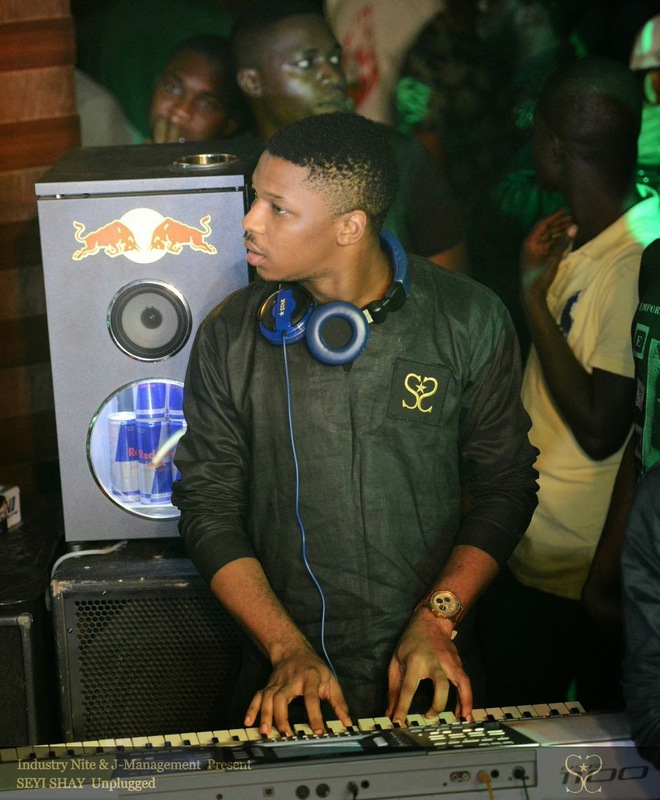 Putting on an intimate, yet energetic live band performance for the cheering audience - guests like D'Banj, Waje, Banky W, Olisa, Sasha P, Sound Sultan, Bez and more were all in attendance to support the currently trailblazing singer/performer, whilst Yemi Alade, Chidinma, Vector, Niyola, Patoranking, Shaydee, Boj, Young Greyc all graced the stage with DJ Spinall on the ones and twos and MC Jimmie hosting the show. 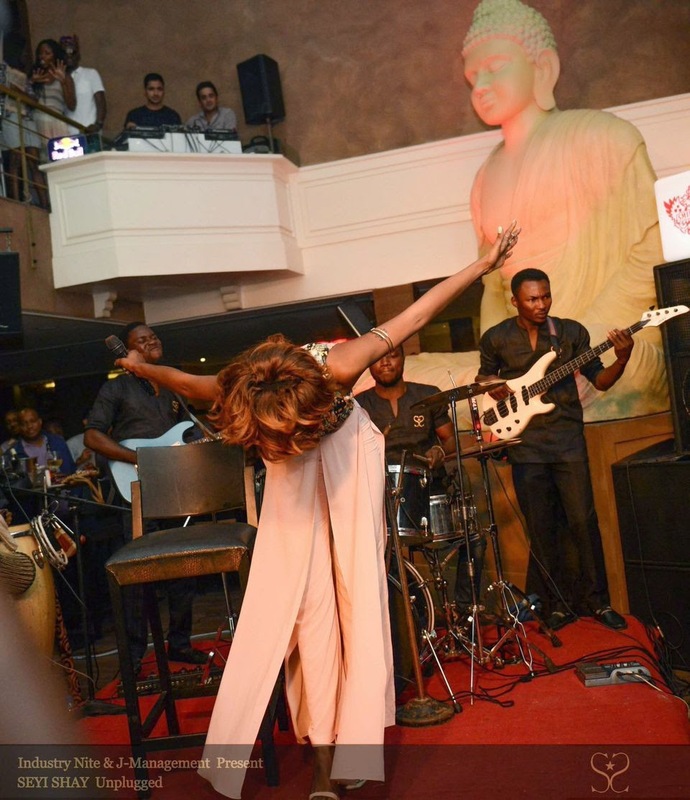 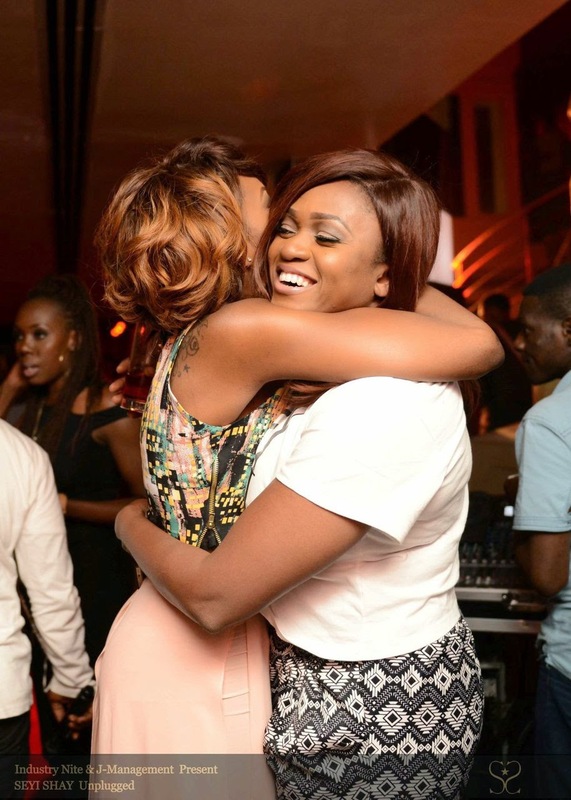 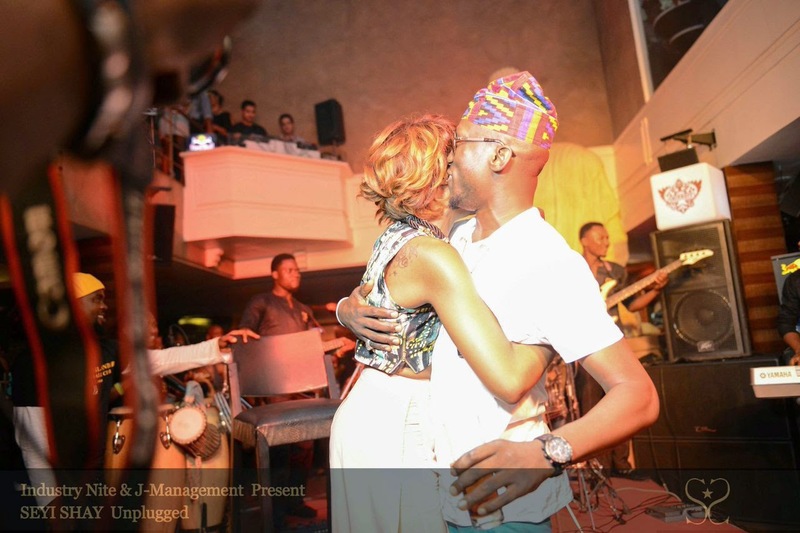 There was so much love in the room for Seyi Shay on Wednesday evening, good to see her receive so much love from stars and guests! 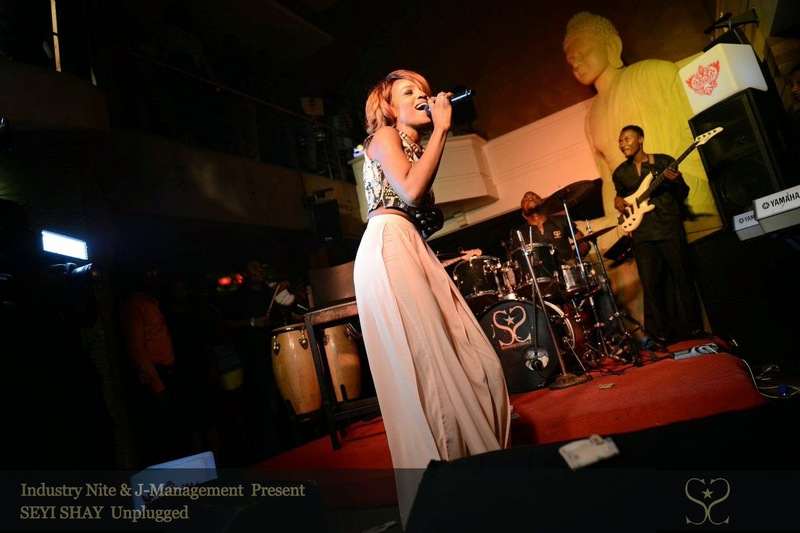 Check out all the pics when you click on the 'read more' link below! 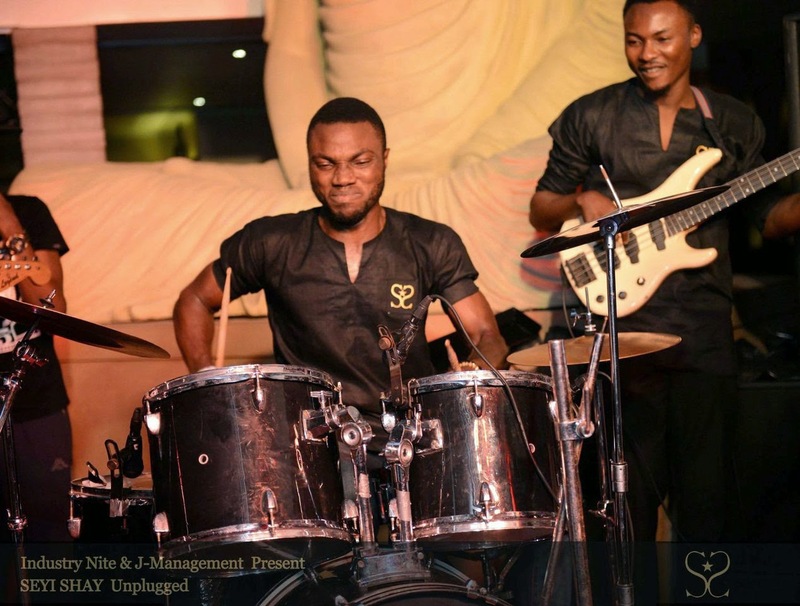 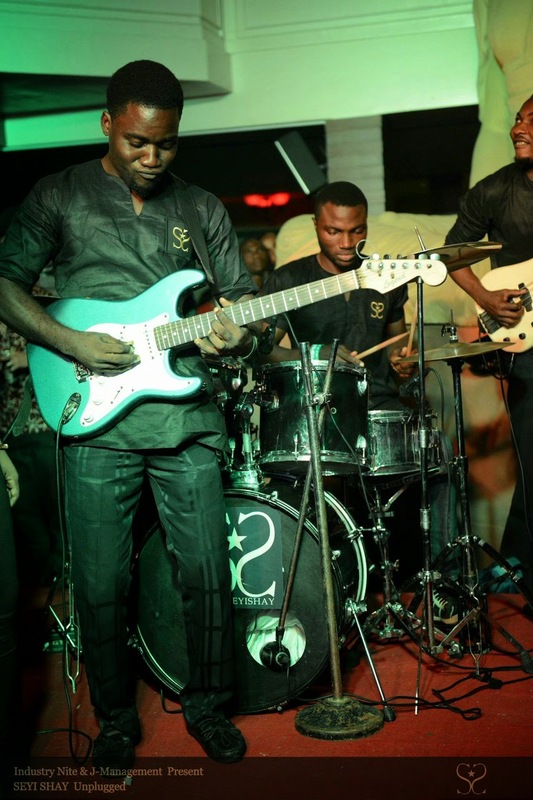 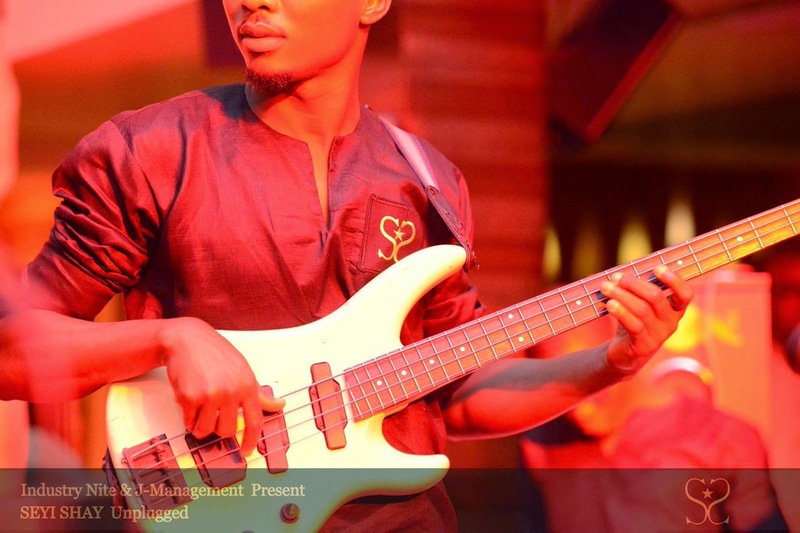 Seyi Shay's band. 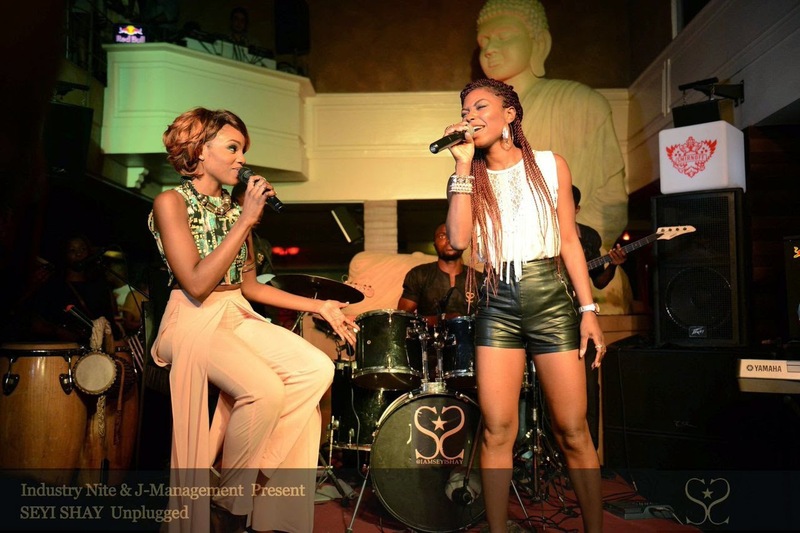 Loving their outfits! 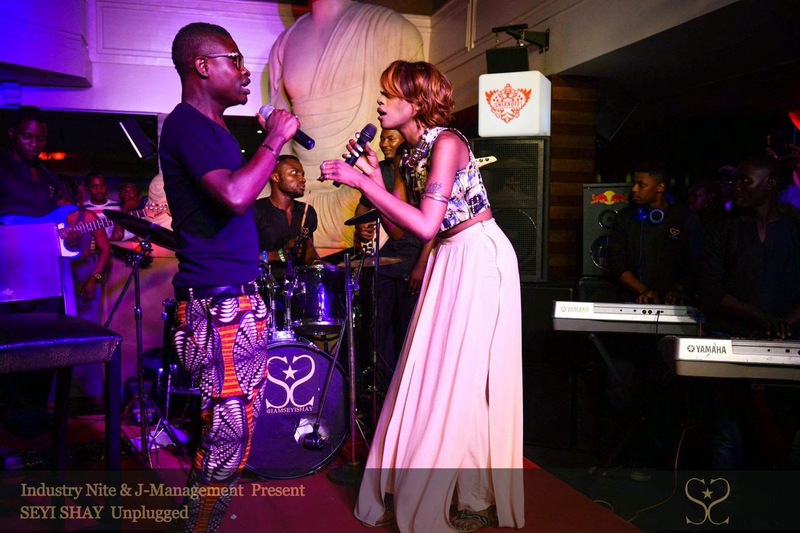 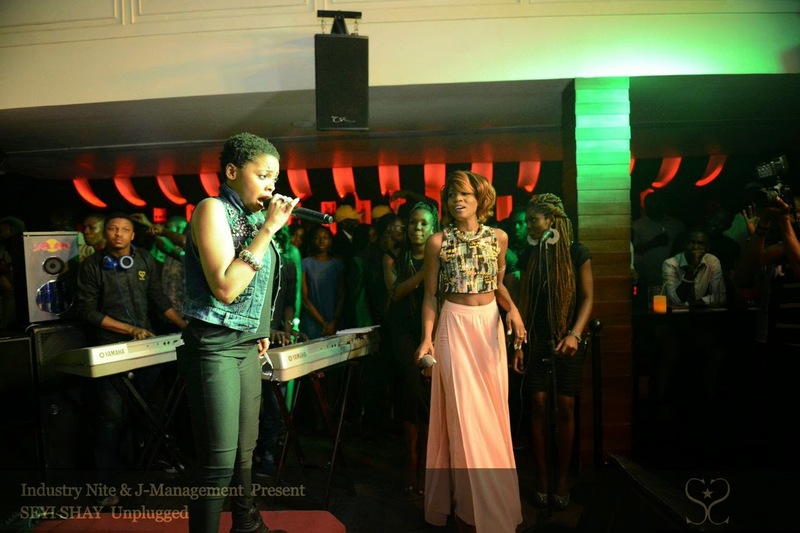 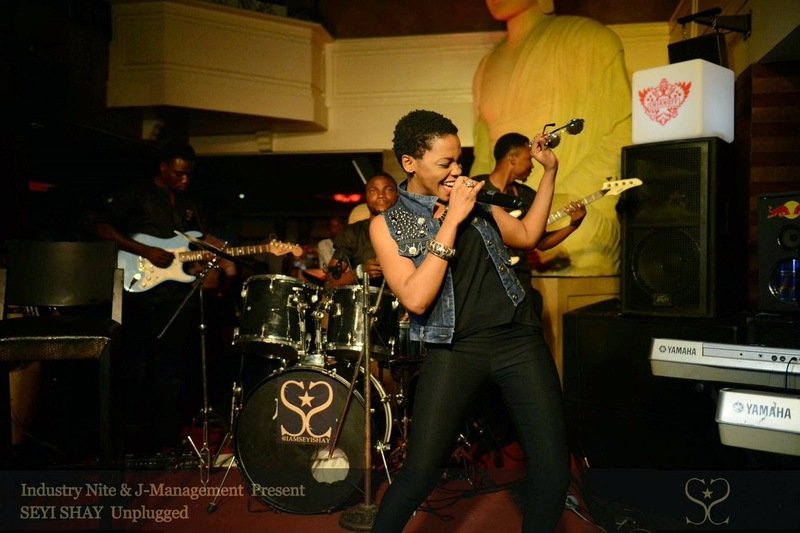 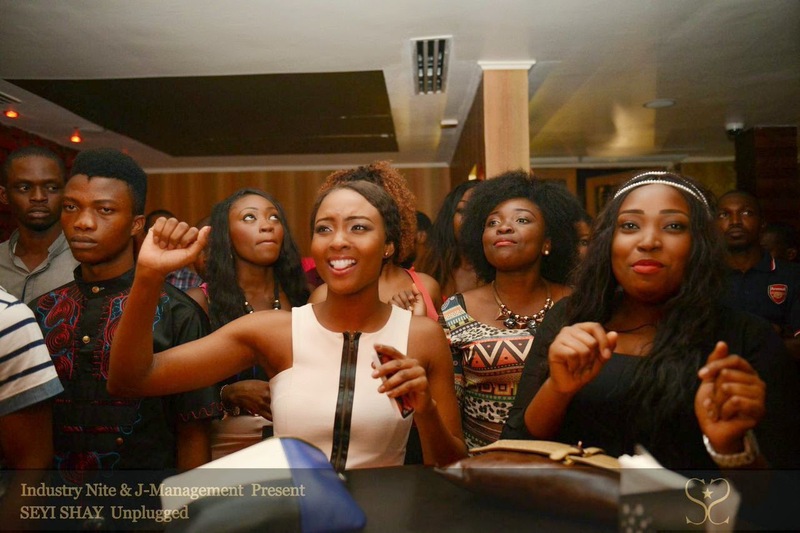 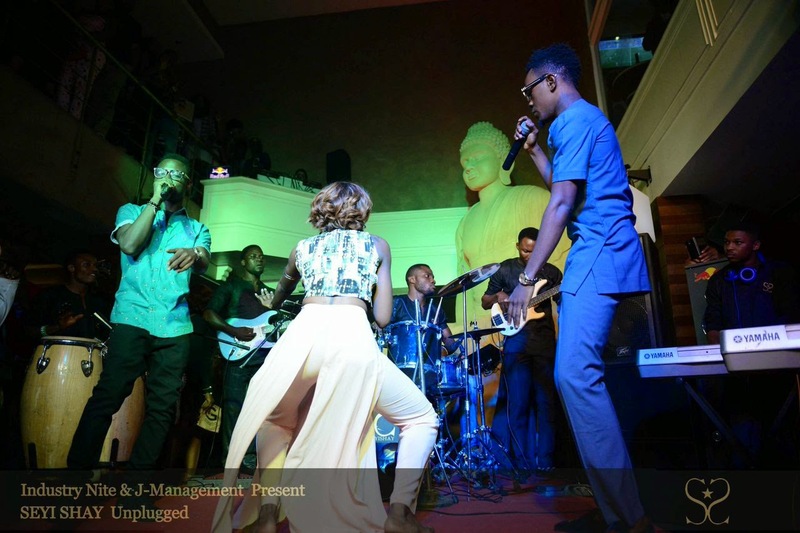 Seyi is giving me Whitney in her early days - look at that stature and the way she held the mic - very Whitney. 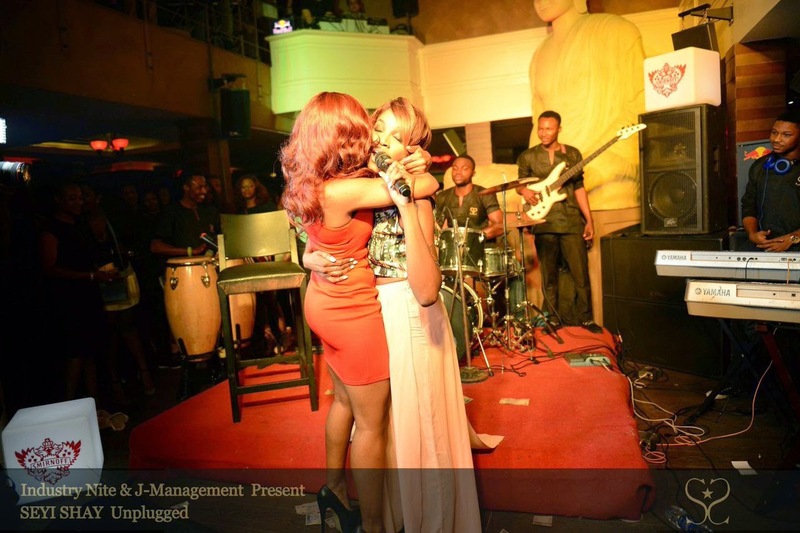 And I am loving ittt!!! 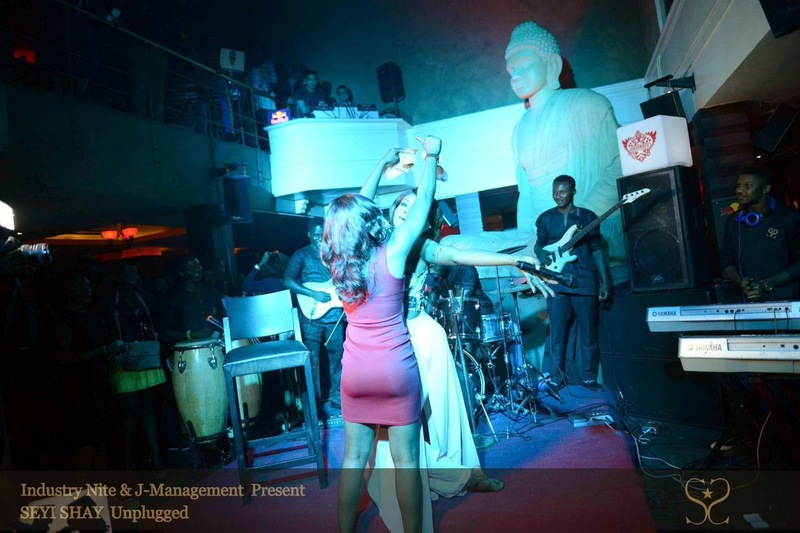 And pose! 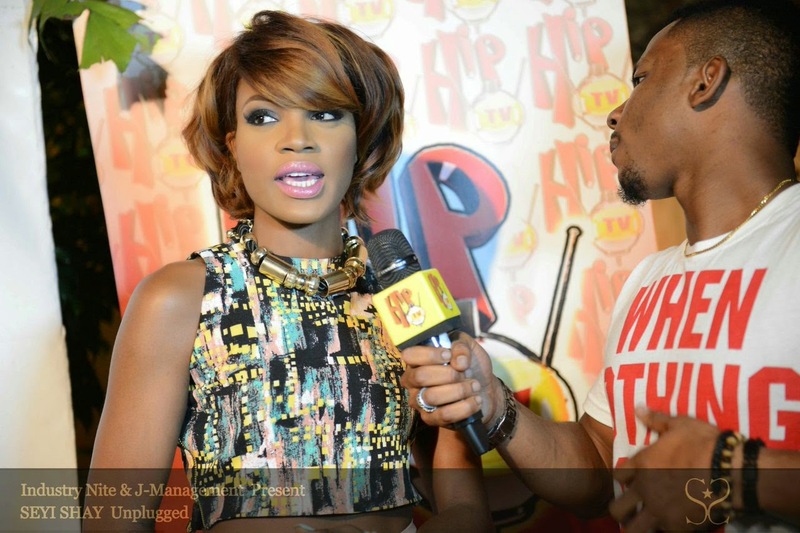 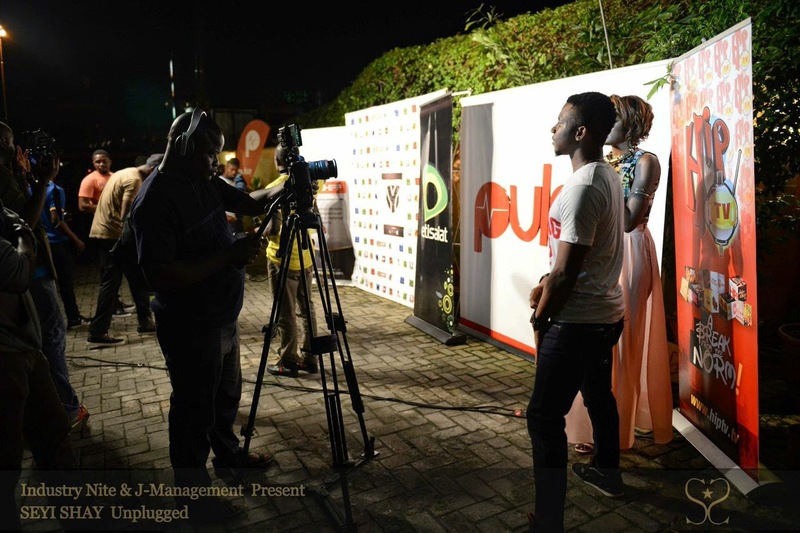 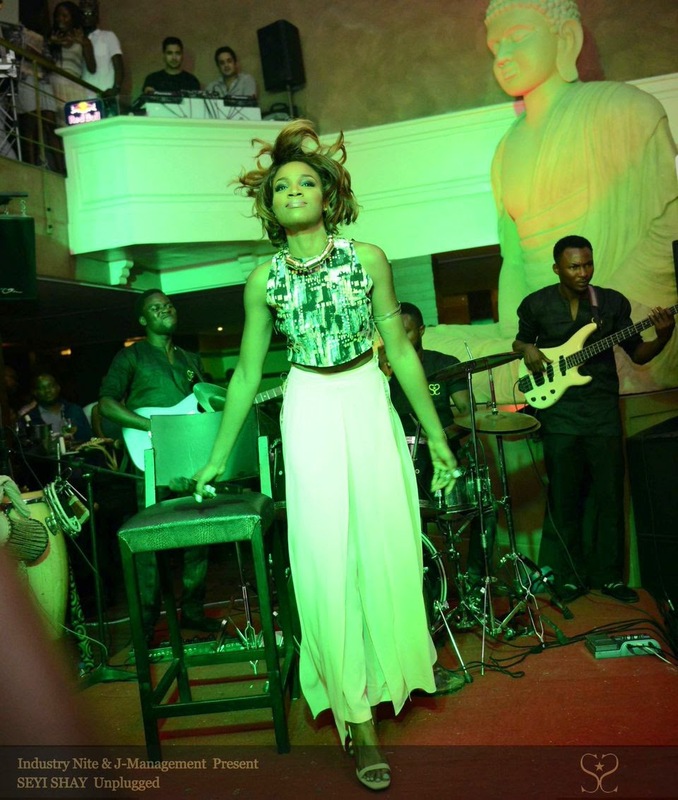 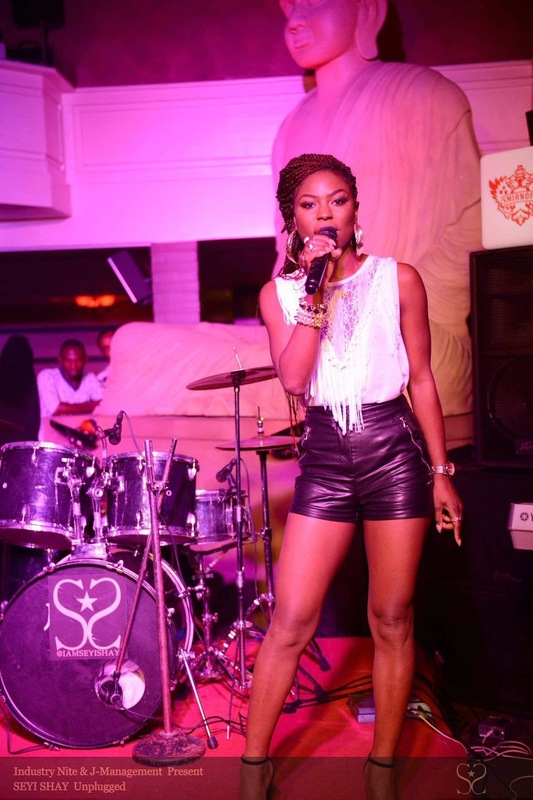 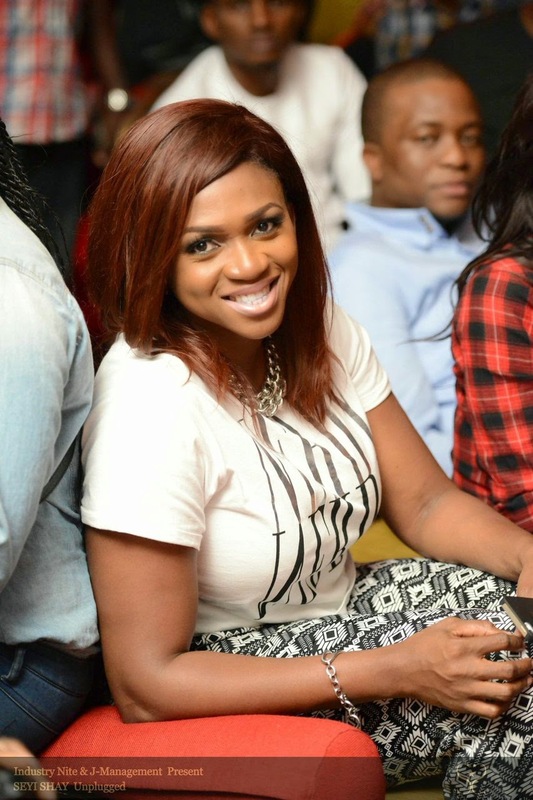 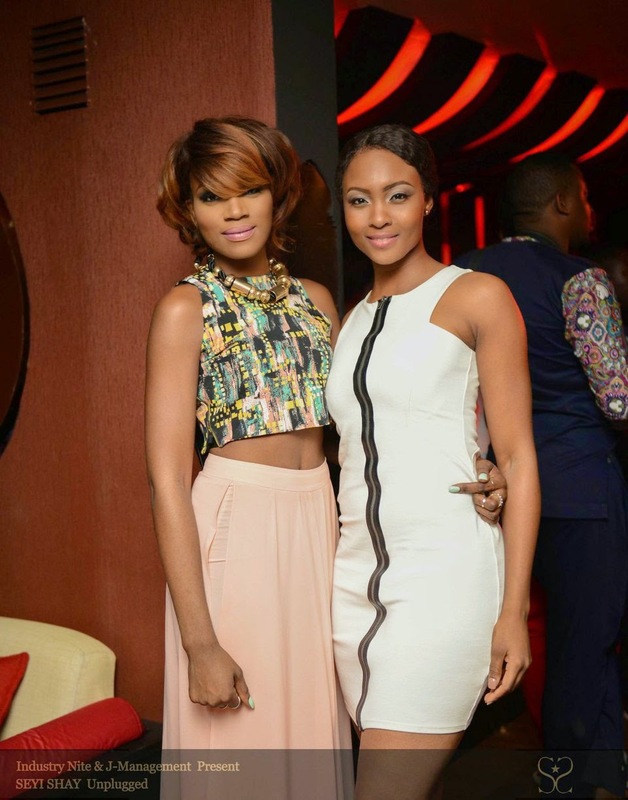 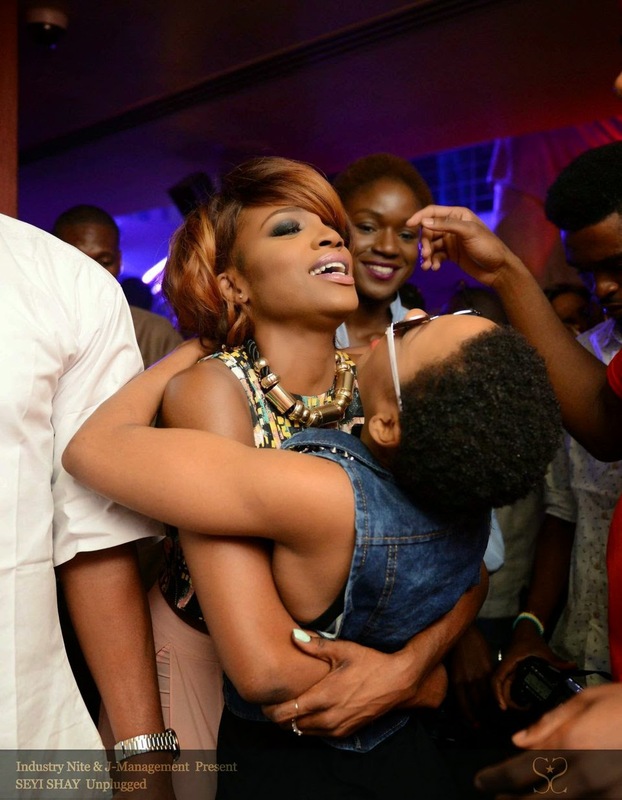 Seyi Shay werking it for the paps! 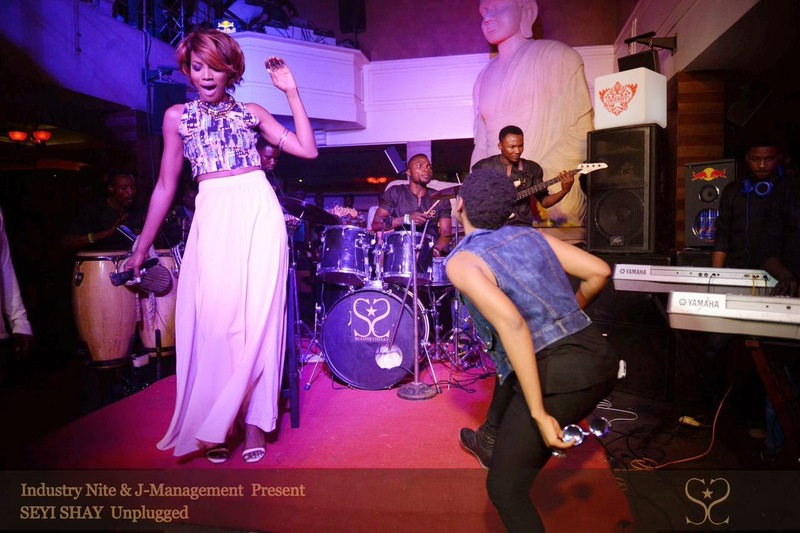 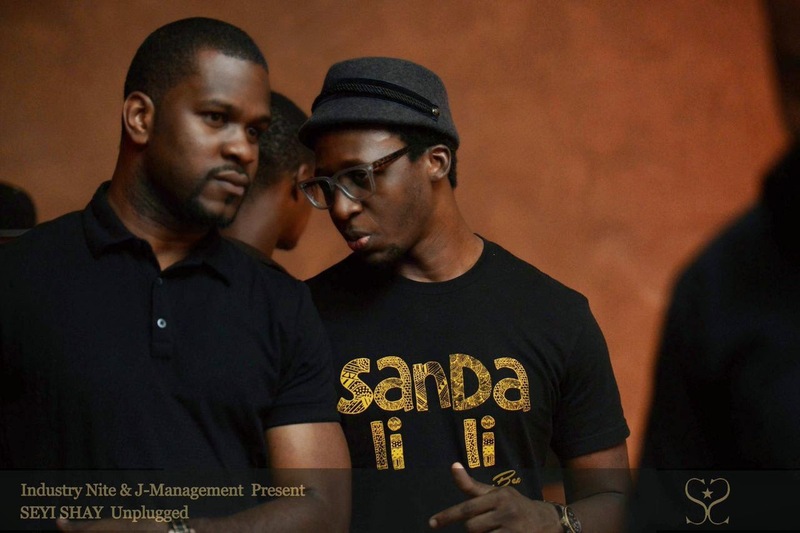 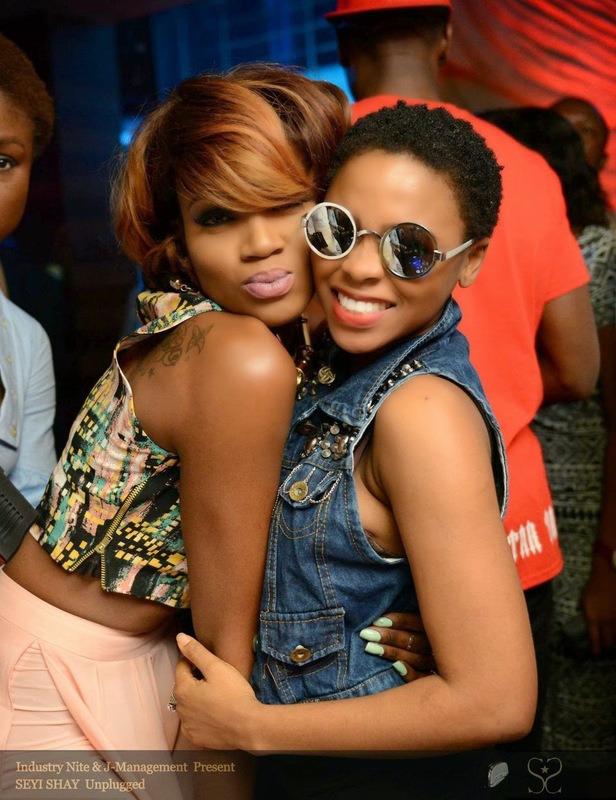 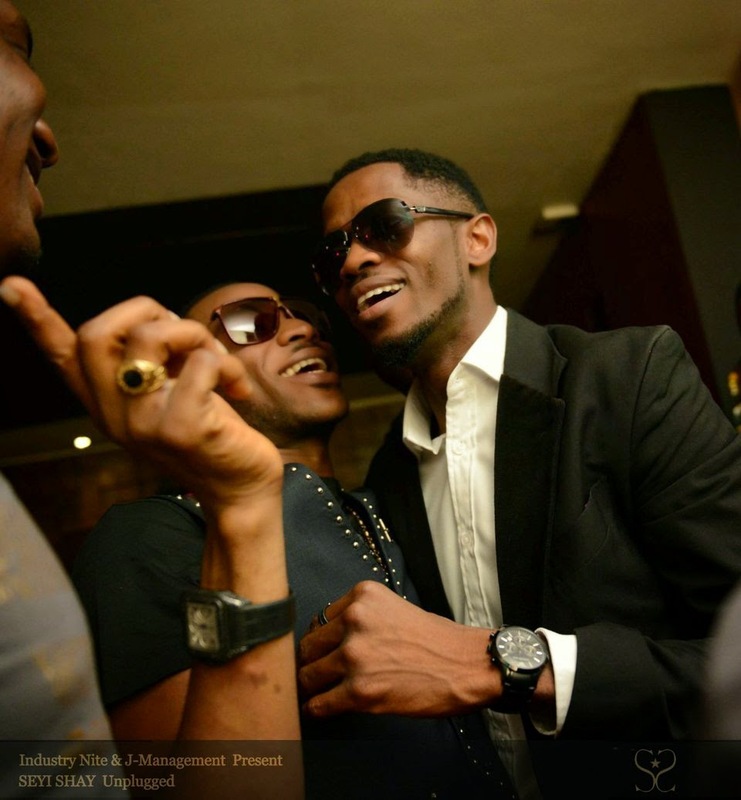 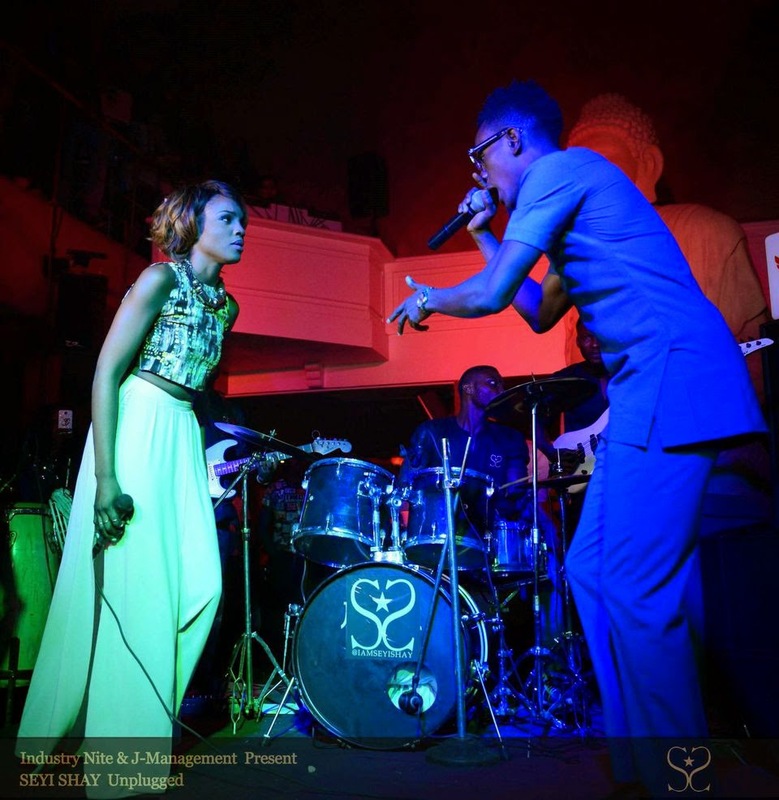 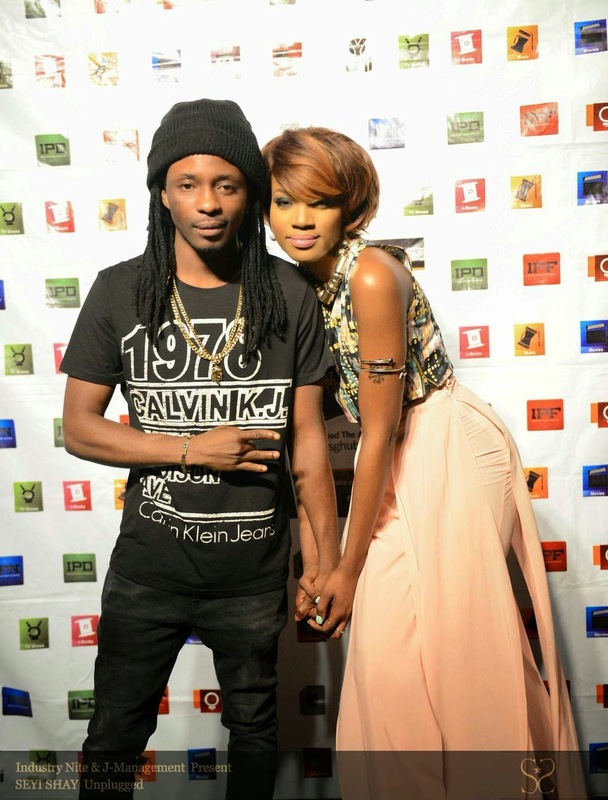 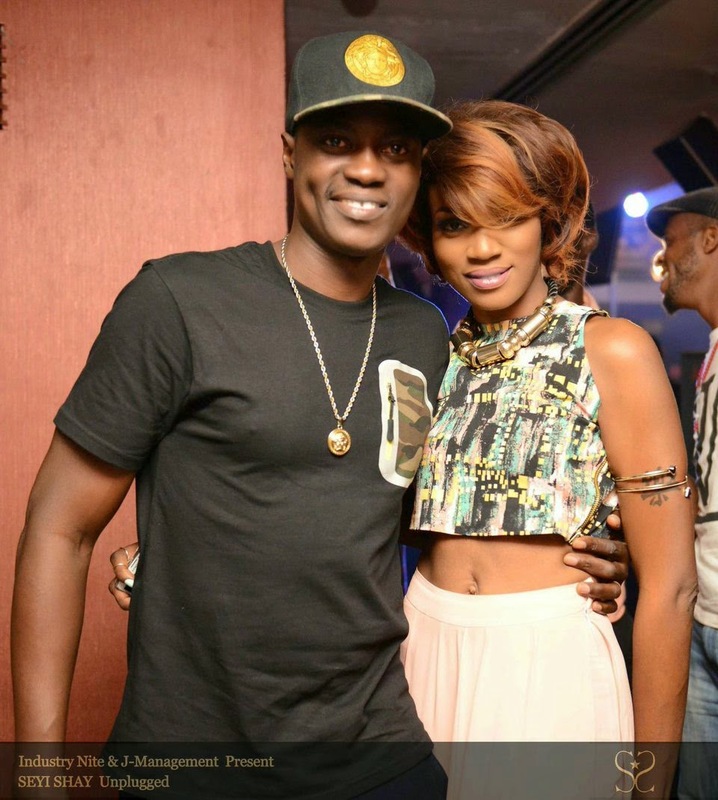 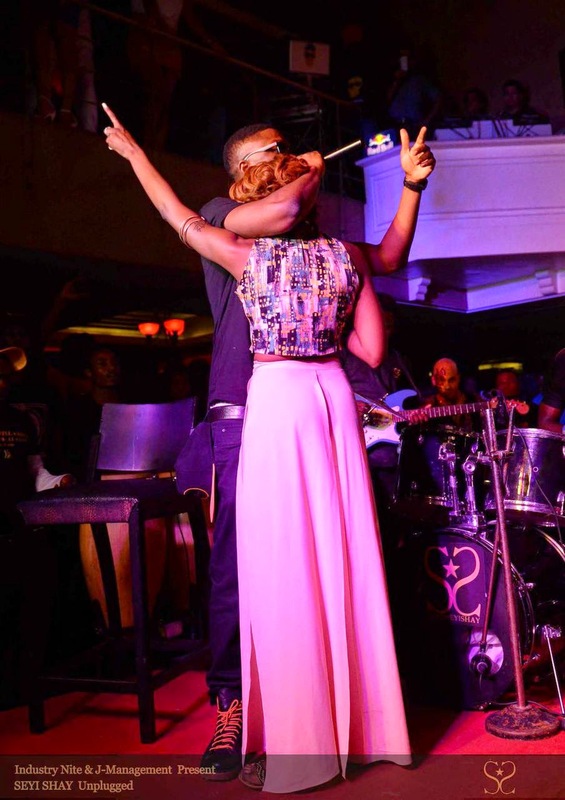 Seyi Shay and producer Del B! 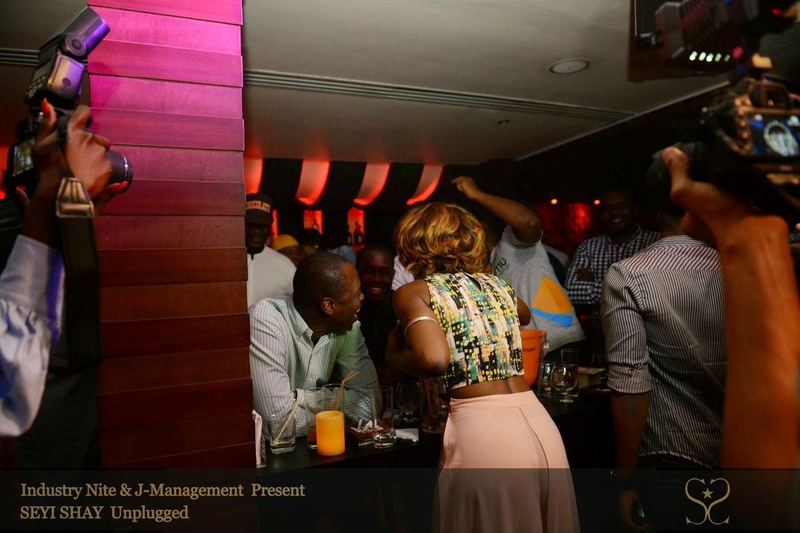 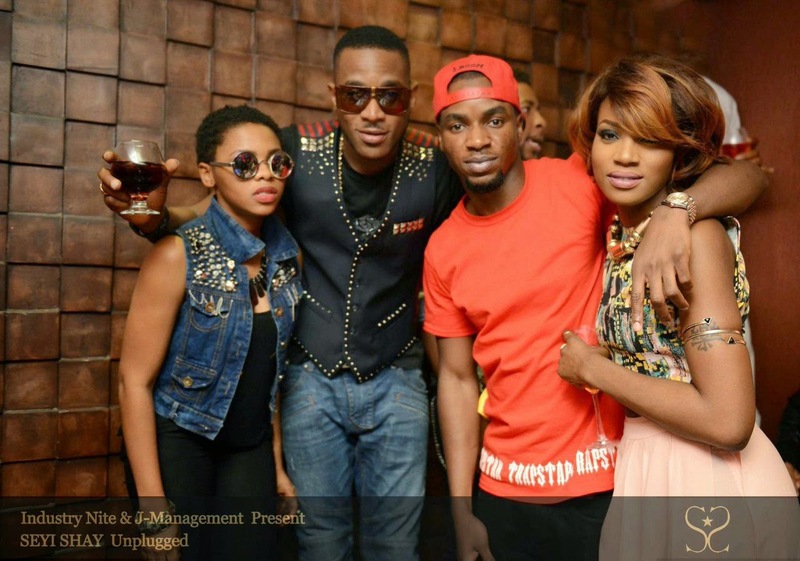 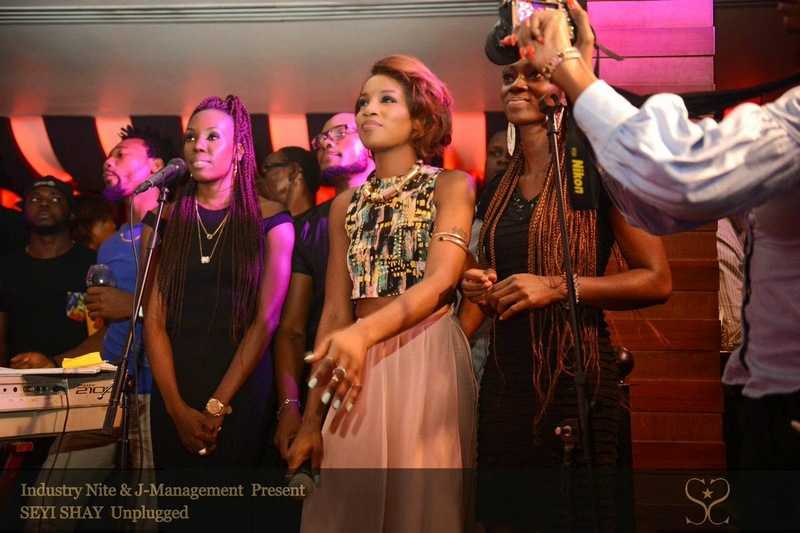 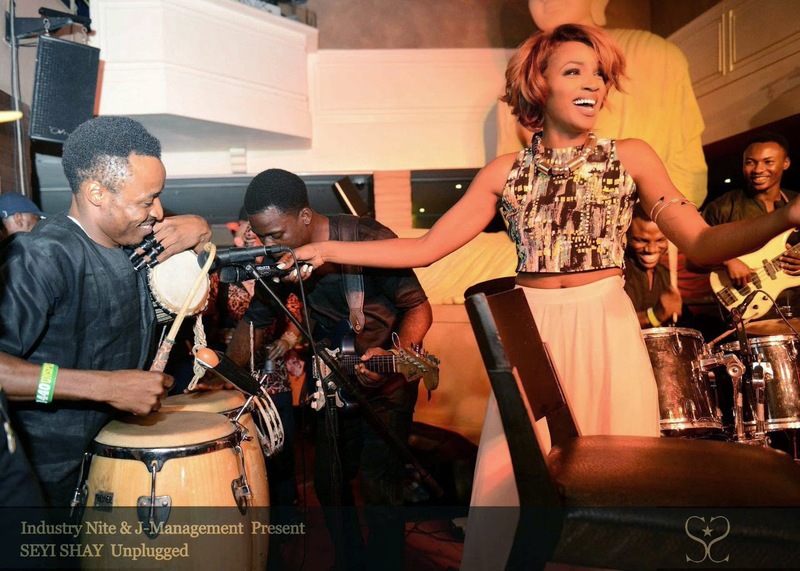 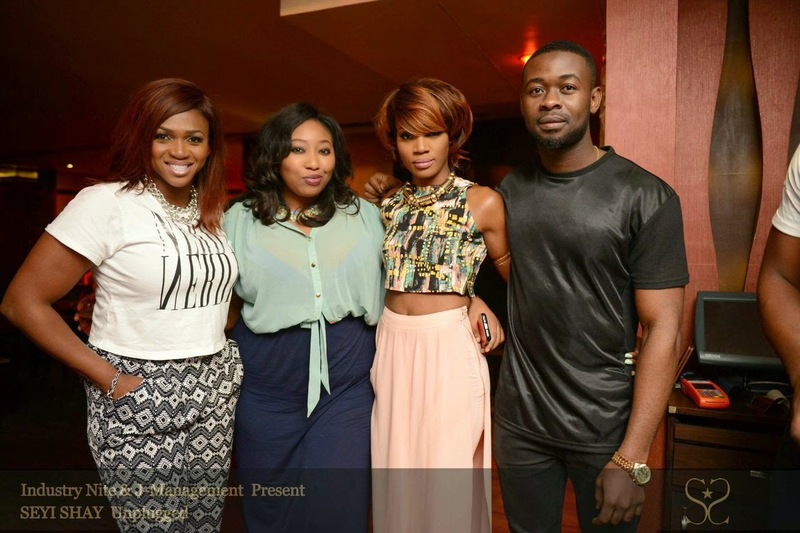 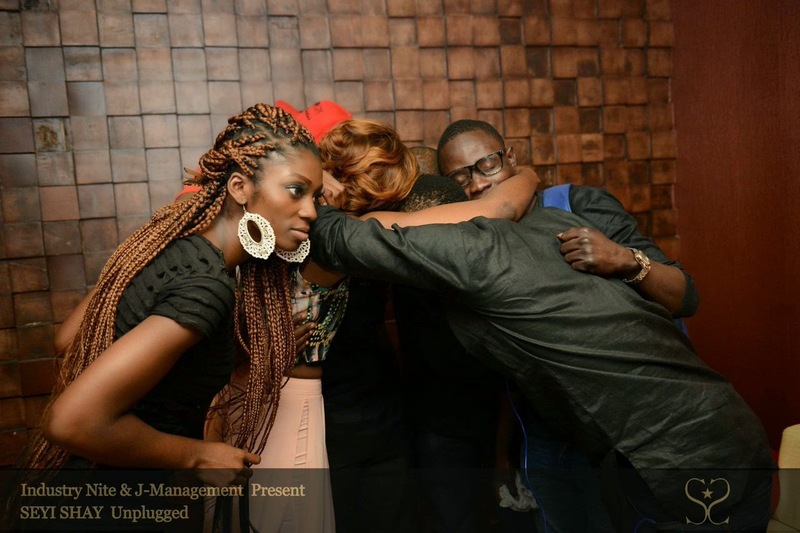 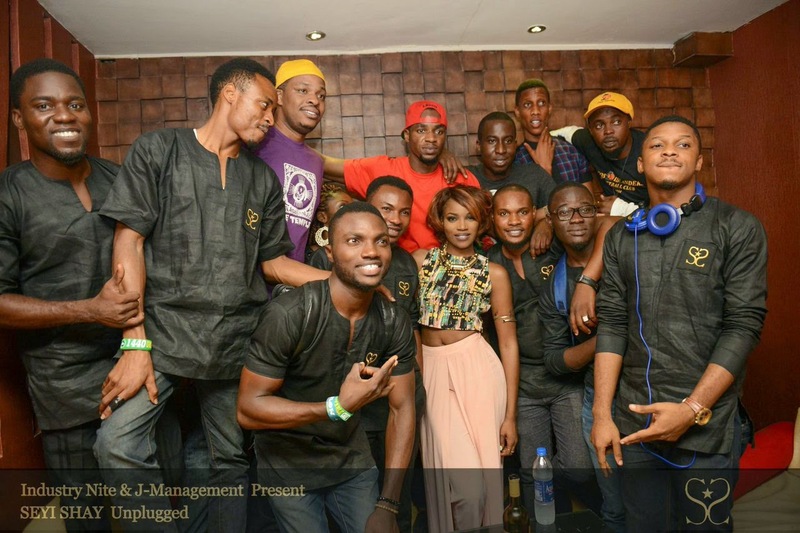 Seyi Shay and team after a successful night! 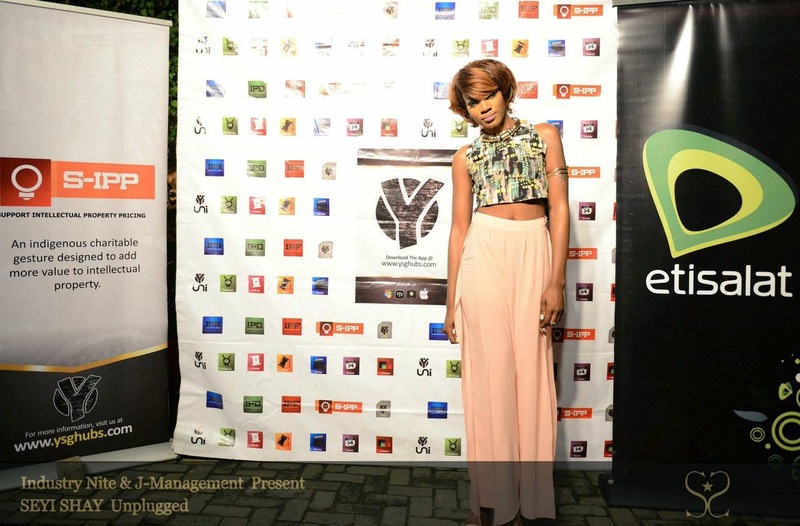 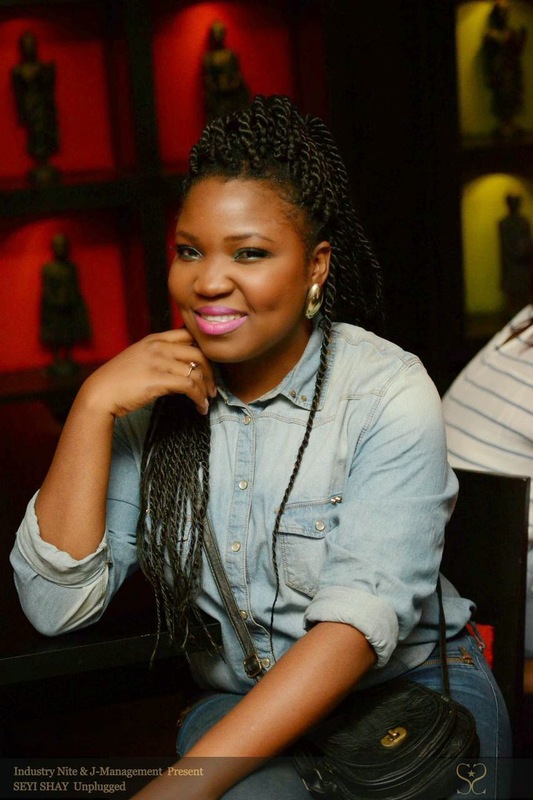 Seyi looks amazing!!! 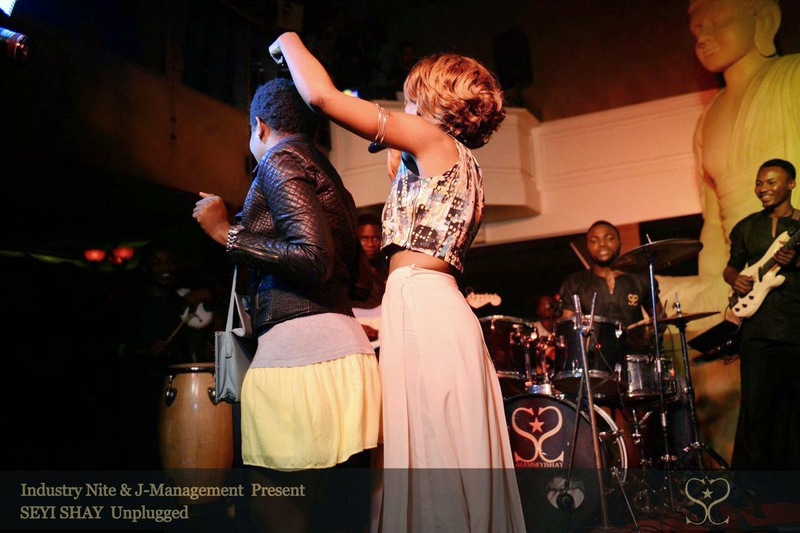 It looks like it was such a brilliant show - wish I could've been there to see it live!